The former Orr Motor Company on the Memorial Avenue rotary in West Springfield, Massachusetts hasn’t moved motorcars in quite some time. Luckily for fans of early 20th century architecture, the red brick & concrete building has outlasted its original tenants and lives on as Valley Sales, a home appliance store. 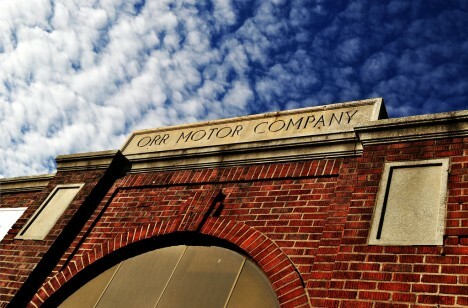 Full props to Flickr user MJBarnes for the timeless and ethereal image of this once-thriving auto dealership. What Frank & Elaine Wrenick of Loyal To The End call “the last AMC dealership in the world” can be found just off Highway 117 in Pikeville, North Carolina, halfway between Wilson and Goldsboro. 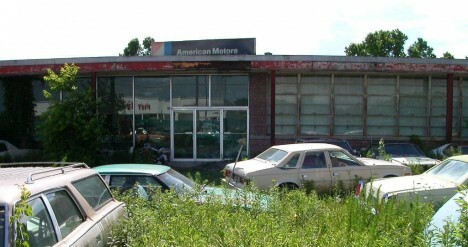 Collier Motors was one of the original AMC dealers and it officially operated from 1954 to 1987. The owner, Robert Collier, wasn’t happy about Chrysler’s 1987 buyout of AMC and sputtered along as long as he had inventory to sell… though some of that inventory seems to have sat untouched in the front lot for decades, window stickers intact. This abandoned car dealership in Old Saybrook, Connecticut once moved Chrysler and Plymouth automobiles to well-heeled southern CT residents. 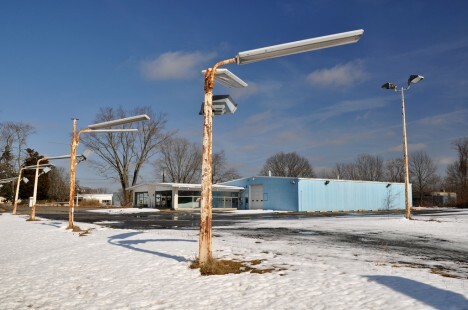 Flickr user MJBarnes captured the chilly desolation of the former dealer’s lot on a cold, blustery day in mid-March of 2013. One must say, the rust on the lot light standards contrasts strikingly with the pristine white snow and the pastel blue of the dealership building. 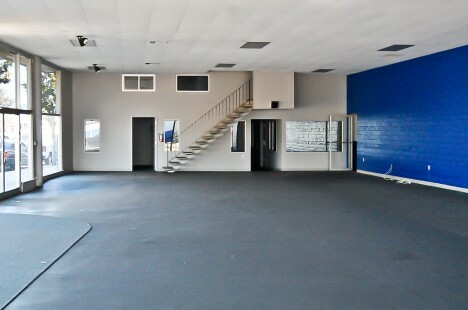 Flickr user Todd Lappin (Telstar Logistics) snapped these shots of an exceedingly clean yet completely abandoned west coast Ford dealer on July 5th of 2011. 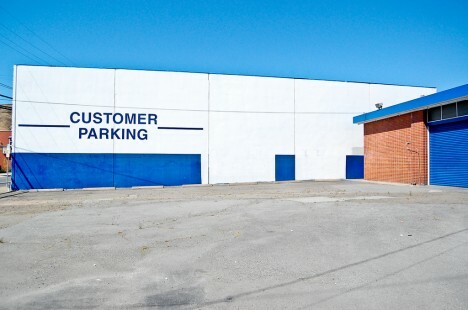 It’s not known why the South San Francisco dealership closed shop but one thing’s for certain: curious customers will have no trouble finding a parking space in the lot outside.